I was impressed with how videography and digital technology has advanced in the area of film making. This is evident in the latest installment of the Planet of the Apes franchise which is War of the Planet of the Apes and also the past films which are Dawn of the Planet of the Apes and Rise of the Planet of the Apes. With the advancement of motion capture and digital rendering, it is interesting to see computer generated imagery being brought to life which in this case are the movement and facial expressions of the apes which adds greater realism to the overall character development of the film. The film continues the premise of the Simian flu virus and the fallout of Koba’s attack which caused major repercussions for the human race and the apes as they fight for survival. The film opens with Caesar (Andy Serkis) struggling to move his family to safer grounds after The Colonel (Woody Harrelson) Alpha-Omega army desire to wipe out the entire ape population in order to preserve the human race. 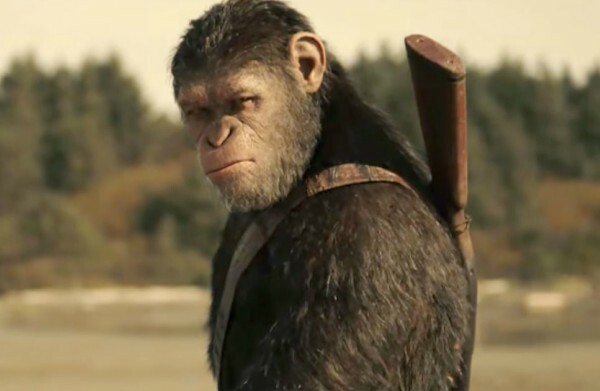 However, after Koba’s death and fallout in the second film, Koba’s many followers have joined the humans for fear that Caesar might hunt them down as they were not loyal to him. Caesar offers a truce deal to The Colonel who rejects him. There are many themes that are explored in this film such as family, betrayal, sacrifice and trust which brings to the table more character development and less action scenes. However, there were few scenes which had too much of dialogue and it left the audience restless due to the slow progression of the storyline in the film. To complicate matters, we now see that the Simian flu virus has mutated further and has caused humans to stop speaking and being unable to communicate. In a show of compassion and sadness, Caesar takes in a young orphan child-Nova (Amiah Miller) as she has no more family left. There are some light-hearted banter between the apes which sits well with the audience to break the subtle grittiness in the film. Director Matt Reeves does excellent work in the areas of character development in advancing the progression of the storyline together with a soundtrack to show that the human race is really dying out as there does not seem to be a cure in sight. The apes get stronger, while the humans get weaker. Different military fractions have sprung up and all are trying to topple The Colonel’s power which they are successful with, but at a huge cost. The film does have many high points, but I expected to see more fight scenes between the apes as seen in Rise of the Planet of the Apes. Bringing back Koba as a hallucination showed Caesar’s inner struggle with his own decisions and inner guilt which was a nice touch. Towards the end of the film, it does give an indication where the next film might lead the apes which is to explore Caesar’s son, Cornelius responsibility of being the new leader. Perhaps, the next film might pick up a few years into the future where we might see new storylines between the humans and the apes. The film does indeed bolster a powerful narrative which rides on the success of the previous trilogy, but yet gives it a whole new depth of strong and solid character and story development. Given that this film has met with many positive reviews, the journey would continue for the Planet of the Apes storyline given the positive reception from movie-goers. Indeed, “Apes Together Strong” and it is definitely the case for this film which makes it a must watch movie and do watch the first two movies first before going to the cinema as it clearly links up the events between the first and second film. I hope Matt Reeves brings his stellar directing skills and character development to The Batman which is in development that we will get a comic book accurate depiction of the caped crusader. Preacher: You’re him. You’re Caesar. We’ve been searching for you for so long. Caesar: We cannot take her, Maurice. Maurice: I understand, but I cannot leave her. Bad Ape: I see girl, I think you human. But you ape, like me! Bad Ape: No, no, put down. Caesar: How long have you been here? Bad Ape: Long. A long time. Caesar: Are there more like you? More apes from zoo? Bad Ape: Dead. All dead. A long time. Human get sick. Ape get smart. Then human kill ape, but not me. I run. Caesar: You learned to speak. Bad Ape: No, no touch. Bad Ape: [to Caesar] That, that’s mine. Bad Ape: Eat! New friends. A special day. Bad Ape: Here, you keep. Bad Ape: [to Caesar] She keep. Caesar: Where did you get this? Bad Ape: Bad place. Human zoo. Bad human. Caesar: Bad humans. Soldiers. Soldiers. Can you take us? Bad Ape: Human zoo? No! No. No go back there. Very safe here, never go back. Look, look, look, look. More snow, cannot go, must stay. Bad Ape: Who is child? Bad Ape: But she with you? Caesar: She has no one else. Caesar: She is one of us. Bad Ape: Thirty-four, thirty-five, thirty-six, thirty-seven. Bad Ape: Thirty… Thirty-seven. I do. What now? Caesar: Tell your colonel we are not savages. Apes fight only to survive. Caesar: I did not start this war. I fight only to protect apes. Caesar: I did not start this war. I offered you peace. I showed you mercy. But now you’re here, to finish us off for good. Colonel: All of human history has led to this moment. The irony is we created you. And nature has been punishing us ever since. This is our last stand. And if we lose, it will be a Planet of Apes. Colonel: We created you, and now we will bring an end to their kind. Colonel: There are times when it is necessary to abandon our humanity to save humanity. Caesar: Prepare for battle. They took too much from me. Home, family, and more apes die everyday. Caesar: They must pay. I will finish this. Caesar: I offered you peace. I showed you mercy. Colonel: You talk about mercy, no matter what you say, eventually you’d replace us. That’s the law of nature. So what would you have done? Caesar: What did the humans promise you? No matter what you do you’ll never be one of them. You are ape. XO Stone: We are the beginning! Caesar: No mercy. No peace. This is war. Apes together strong. Colonel: Have you finally come to save your apes? Caesar: I came for you. Colonel: My God, look at your eyes. Almost human. How did you know I was here? Caesar: I was told you were coming, and that more soldiers from the north would be joining you here. Caesar: To finish us off, for good. Colonel: Who told you that? Colonel: Have you come to save your apes? Colonel: You are impressive, smart as hell. You’re stronger than we are, but you’re taking this all much too personally. So emotional! Caesar: I did not start this war, but I will finish it. Caesar: It is my hope that out of this solemn occasion a better world will emerge, out of the blood carnage of the past a world founded upon faith and understanding, a world dedicated to the wish for freedom, tolerance and justice. It is dismaying at how low the bar has gotten for reviewing terrible films like the latest P O A. Truly an utterly boring and disengaging piece of overblown Hollywood crapola. Just watched the movie. The trailer led people to believe that this is an action movie instead its a slow drama. Theres no fight scene with Caesar and the colonel like shown in trailer. Just misleading people. Without having seen the movie yet (captain obvious I know), I can already tell that this is nothing more than another action blockbuster. What made the original movies classics is that they never tried to explain what they couldn’t. All we knew is that humanity had been almost wiped out and replaced by our next closest species. 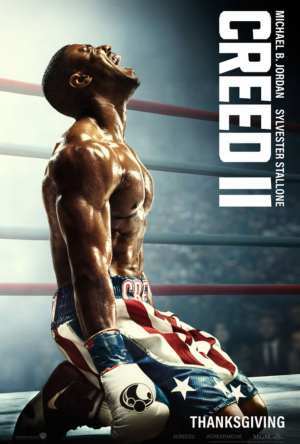 Ceaser will recreate history with another addition to the franchise.